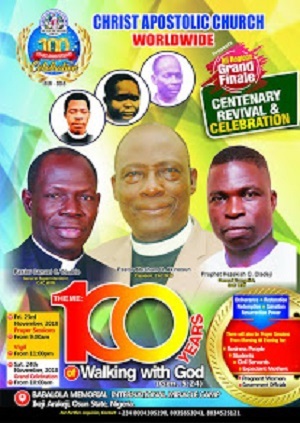 The General Secretary noted in the circular that the programme will hold during Sunday service. 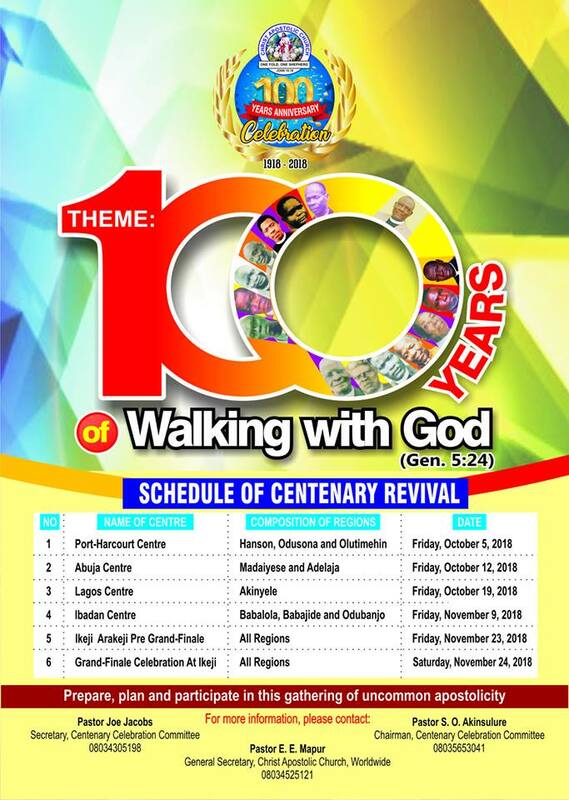 According to him, the outlined prayer points are thanksgiving, forgiveness of sin, prayer for the Authority of the CAC Worldwide, prayer for Nigeria against evils like terrorism, kidnapping, robbery etc, prayer for the success of all our programmes (conferences, centenary celebration etc) and any other prayer laid on their hearts. 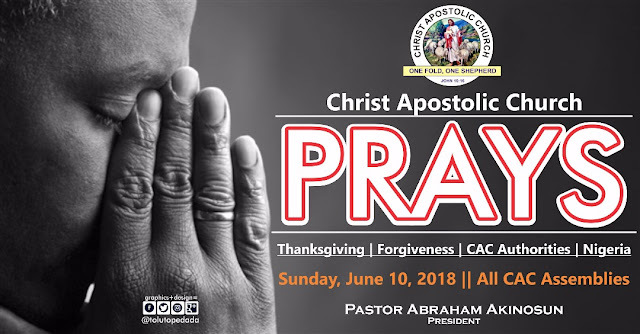 On mode of dressing, Pastor Mapur stated that all clergy in CAC shall not wear their clerical dress. They will appear casual and not gorgeous. Also, the entire congregation must dress casual, to humble themselves before God. 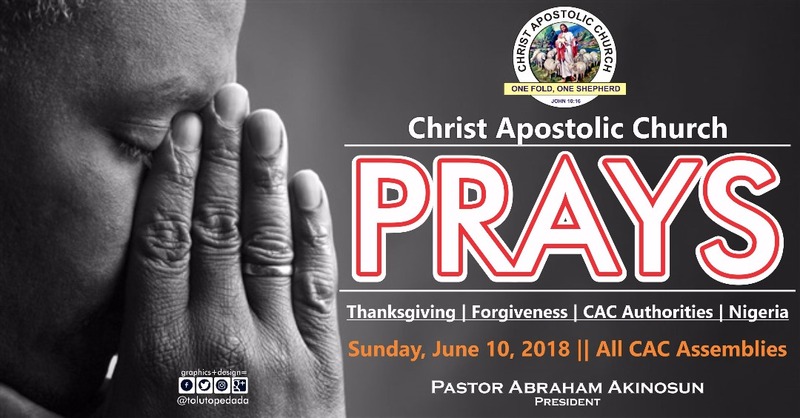 A divine instruction communicated to all DCCs, Zones and to all the assemblies of the church by the General Secretary warned all ministers in the church to make evangelism a priority and life in the Holy Spirit their constant pursuit.